Advanced PPG heart rate simulator to verify accuracy and algorithm of wearable with heart rate measurement function. Built-in LED to generate PPG waveform signals as the reflected optical signal of human skin. Built-in photodiode to detect and display DUT LED behavior and brightness. Built-in 40 clinical database records for AF, APC, VPC, and 1stAV block. Adjustable parameters of heart rate (BPM), reflected skin brightness and PI (AC/DC). Raw data playback to validate system and improve algorithm effectively. 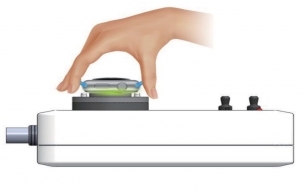 Command mode allows to conduct test quickly and repeatedly. Noise simulation with adjustable amplitude parameter. 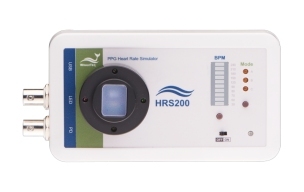 HRS200 Advanced PPG heart rate simulator for healthcare wearable. Support fine tune/play raw data/command line test modes. WUI100 USB isolator for reducing the power noise from PC. Recommanded to use with SECG 4.0, MECG 2.0, HRS200, HRS100+ and SEEG 100. AFDB-HRS Playback capability of 40 clinical-recorded PPG databases, including AF , APC , VPC and 1st AV block. R3 Extend the product warranty from (1) year to (3) years.